Sziget Festival in Budapest is often described by many as the festival that’s the size of Glastonbury, but with significantly less people. It’s also got much more of an international feel, with everyone from pretty much every nationality present. And, like Sziget itself, Muse – one of this year’s headline acts, consistently larger than life – also have a worldwide following. Whether they’re anywhere near as deserving of that following, however, is another question entirely. 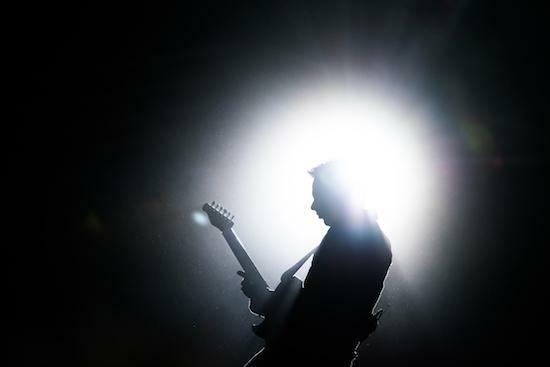 When it comes to comet-fearing Matt Bellamy’s musical outfit, there are two main problems: 1) Many people have never seen Muse as being anything important – certainly not contributing to the cultural or even the musical zeitgeist and 2) Rightly or otherwise, they’re seen as another Spinal Tap band – humourous, pretentious and overblown nonsense. Paradoxically, it’s for those exact reasons that their stature is what it is – it’s why they’re playing stadiums and arenas, crashing drones onto the thronging masses. They’ve paid their dues through relentless touring and widespread appeal, with accessible, safe Radio 1-friendly mainstream rock. 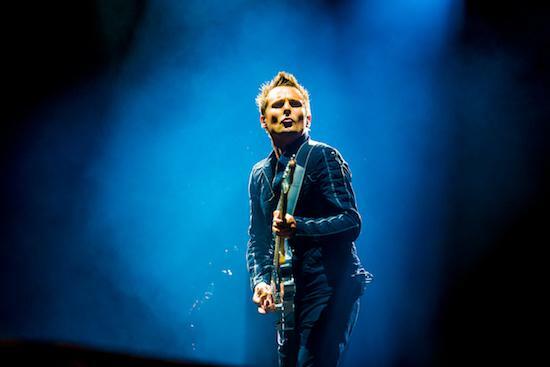 But, while die-hard fans of the band certainly exist, non-Muse devotees, eternally perplexed, are forced to wonder if their stature is in anyway justified or if the whole thing is some kind of long-running joke, their legions of fans completely oblivious. To give them their due, Muse are solid and professional tonight whilst more than amply dabbling in all things blasé. They begin with ‘Psycho’, a glam-rock track sampling Kubrick’s Full Metal Jacket: Ironically, there’s even a physical drone in the crowd at points throughout their set, presumably to take shots of the band. Whether or not that belongs to the band or Sziget Festival itself, it's a little needless and too much for the senses to take at times – there's a lot going on, and even this early in the set it feels like it might warrant a sit down or a breather. The same goes for 2001’s breakthrough single ‘Plug In Baby’ – potentially the only grand unifier in Muse’s arsenal – prompting a jig from all in attendance with its elongated, instantly recognisable and crowdpleasingly wanky solo. It’s all fun and games and a bit like watching a manufactured pop act play live – all staged theatrics and pre-planned sing-alongs. Watching the trio tonight leaves one caught between two schools of thought: on the one hand, it’s not difficult to appreciate their performance from afar, but on the flipside the songs themselves embody exactly what so many have against Muse. ‘Hysteria’, ‘Time Is Running Out’ and ‘Supermassive Black Hole’ manage to seem simultaneously stone-facedly up themselves and like the scene in This Is Spinal Tap where the amps are turned up to 11 and the strobe lights are so bright you can barely see the band. To be fair, many stadium rock concerts have that element of bravado and a touch of pretense about them: Pink Floyd, Queen and AC/DC are – after all – hardly known for their subtlety in performance. But Muse don’t have the credentials; they’re not in possession of whatever it is that makes the spectacle of those bands such an essential part of the act. Though, to their credit, their performance at Sziget is proof at least that they understand that entertainment is more than a matter of standing still for two hours and playing a few songs to earn your dough. ‘Knights Of Cydonia’, their tribute to The Tornado’s ‘Telstar’, is played at the encore – confetti raining down on the large gathering below – whilst Muse stretch out their unnecessary and unnecessarily lengthy guitar solos. It’s a big part of the reason there are seemingly Muse fans everywhere you look. Whether you’re in Budapest, Rome or London.